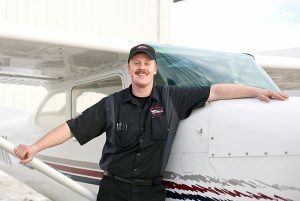 Alex Ritter | Classic Aviation, Inc.
Alex is a licensed A&P at Classic. He graduated from Moody’s Aviation program in Spokane, WA. He is a third generation pilot, he holds his private pilot’s license. He enjoys tail wheel flying, snowboarding, and cycling. He resides in Pella.